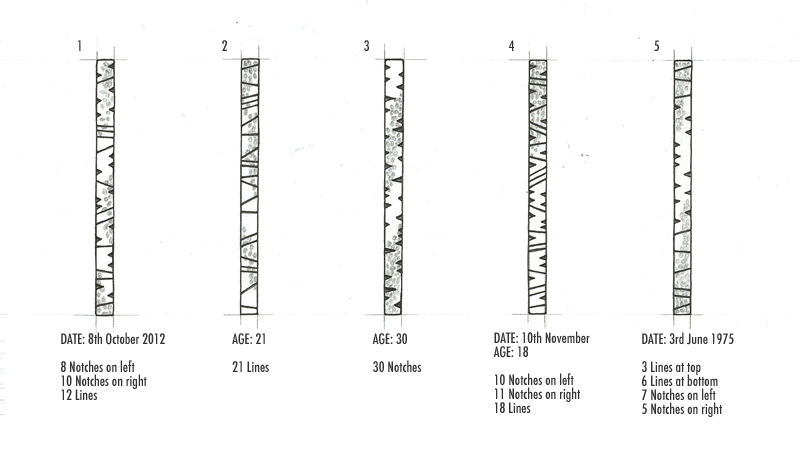 This design can be customised by choosing a number of notches and lines to represent a date, age or number. Please state the number of line and notches on the right and left sides in your order email. If you're not sure how to fit your numbers in just let me know and we will work it out.